Works with Adolescents, Adults, Children, Older Adolescents, Older Persons. ℹServices offered are Counselling, CTP, DVA, EAP, Group Facilitation, Medicare, Positive Psychology, Private Health Fund, QLD Workcover. Mikako is a Clinical psychologist originally from Japan. She offers appointments in English as well as in Japanese. Mikako mainly works with individual clients but also has experience working with couples as well as running group programs. 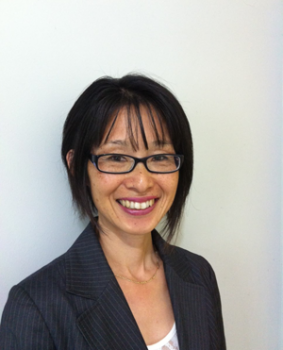 Mikako’s main focus is psychological therapy using Mindfulness-integrated Cognitive Behaviour Therapy (MiCBT). Mindfulness involves paying attention to each event experienced in the present moment within our body and mind, with a non-judgmental, non-reactive and accepting attitude. MiCBT is a therapeutic approach that has successfully integrated the principles of traditional Vipassana mindfulness training and principles of Cognitive Behaviour Therapy. Mikako is a fully qualified MiCBT clinician and looks forward to helping people using this effective method. Copyright © 2011 - 2019 Living Well Psychology Pty Ltd. All rights reserved.